Bag of mini love hearts, each one wrapped with an Easter un-personalised outer wrapper and "Happy Easter" printed on each one. You will receive a bag with random mixed designs in a clear cello bag and tied with curling ribbon. Available in bags of 10 (£1.80 per bag), 25 (£4.00 per bag) or 50 (£8.00 per bag). PLEASE NOTE: These mini rolls of mini love hearts are cheaper than our usual price of 20p per roll as these are UN-PERSONALISED. 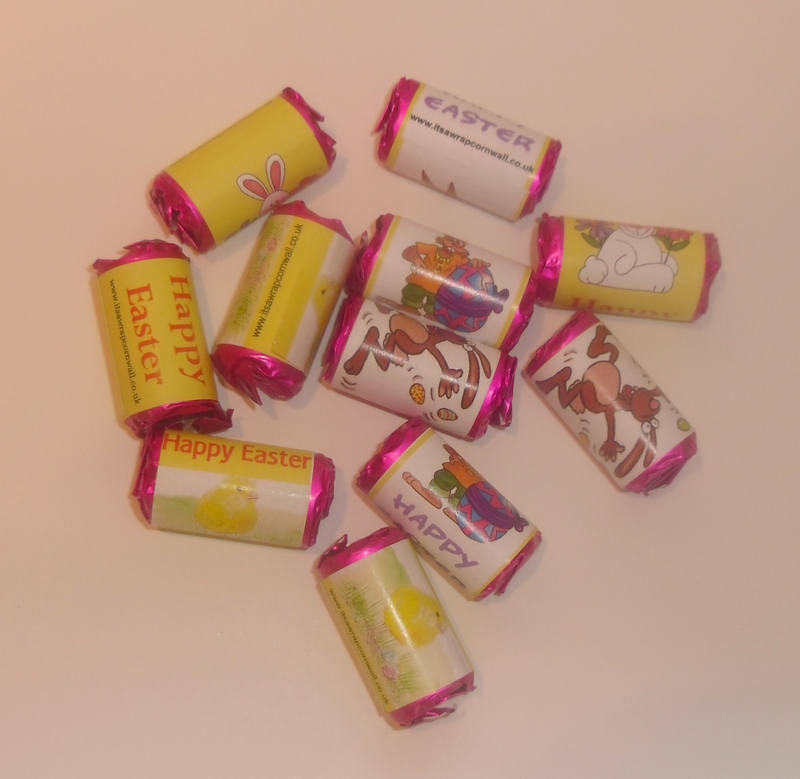 Easter mini love hearts which are personalised are available to purchase separately at 20p per roll.